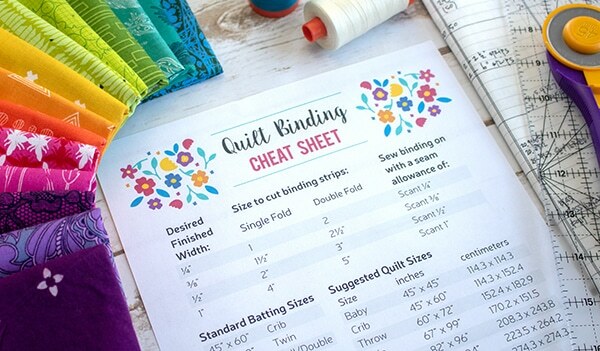 The original version of this post was put together by Yvonne Fuchs and Kitty Wilkin – two great quilting bloggers who always have fabulous ideas and projects to share! It has been updated to highlight the 2019 version of the Habit Tracker. 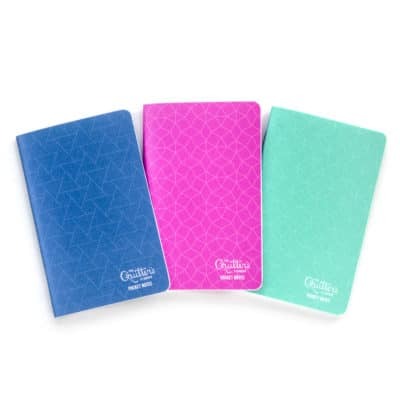 The Quilter’s Planner is filled with tools to improve your daily life, including your habits. 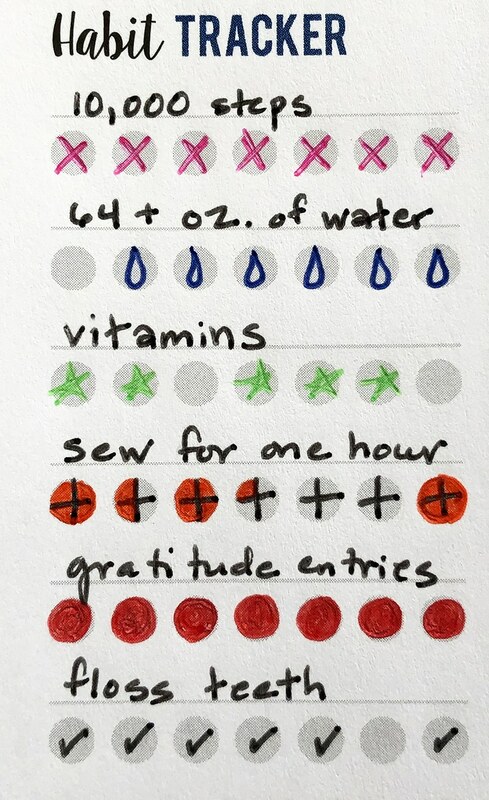 Good habits help us stay healthy, get stronger, get more organized, make visible progress toward our goals, and to be more productive with our time (giving us more time to sew!). That said, establishing a new behavior and forging it into a habit can sometimes feel like an uphill battle. The bottom line is that the more you do something, the faster it will develop into a habit. 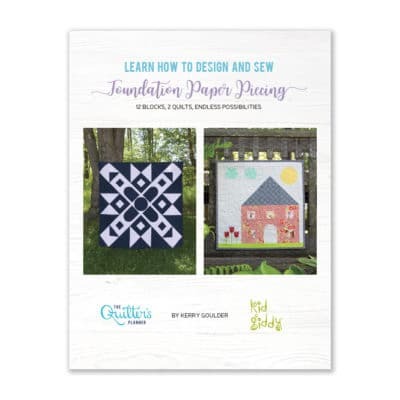 Luckily, there’s help – and it’s found within the pages of the 2019 Quilter’s Planner. The Habit Tracker is back by popular demand, having debuted last year in 2018, and this year it’s even better! 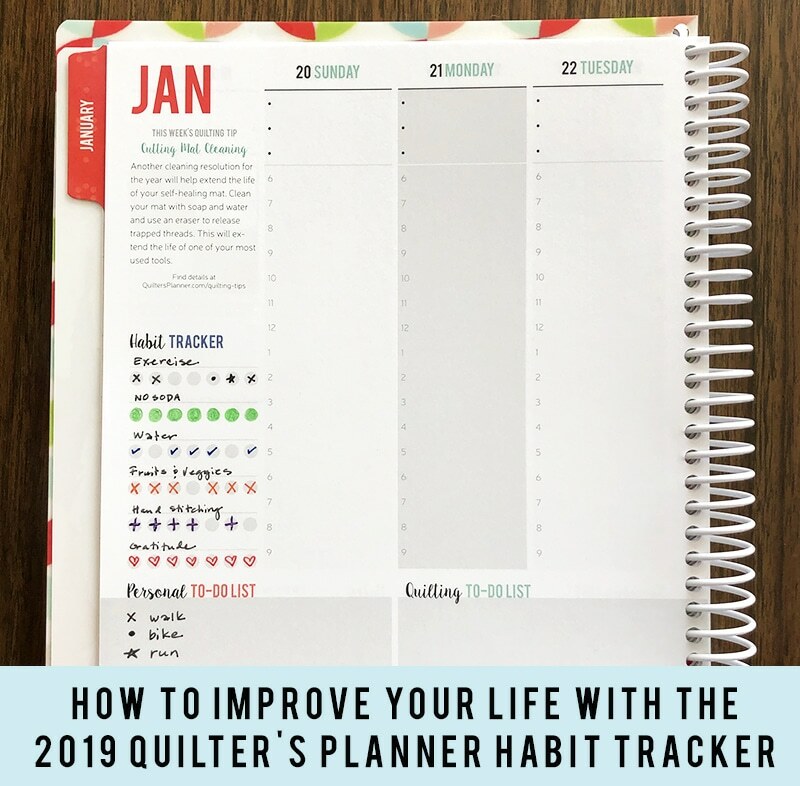 You’ll find the Habit Tracker in each weekly spread of the 2019 Quilter’s Planner. It is located along the left edge of the spread’s left page – above the Personal To-Do List. Incorporating the Habit Tracker into your weekly planning will help you create – and stick to – the great habits that will help you live your best life. 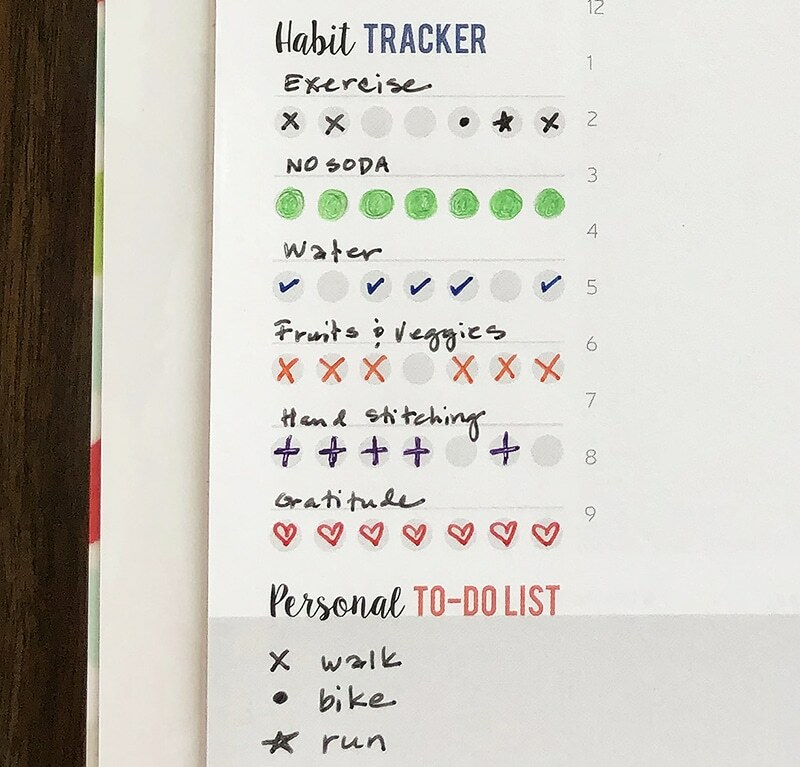 This year’s upgrade includes a line above each set of habit tracking circles, so you can specify which habits you’re tracking without creating a key. Simply label the six habits you’d like to track each week, and track habits as the week progresses. You can use color in your Habit Tracker, use meaningful symbols, or simply check off circles as your habit goals are met. 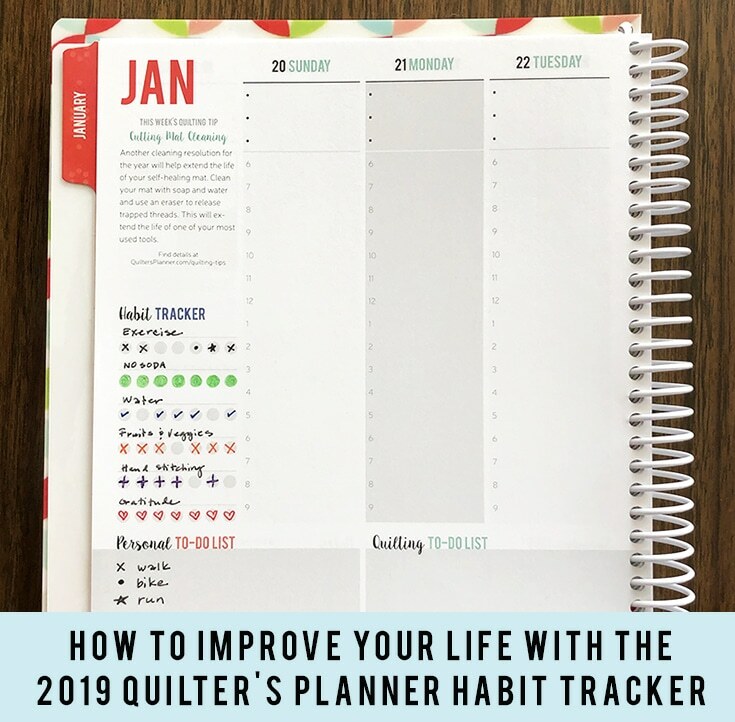 Here’s another example of how you can use the habit tracker feature in your 2019 Quilter’s Planner. As with all planning tools and ideas, take the ideas that work for you and leave the rest. There’s no right or wrong way to use this tool, as long as you’re using it! Terrific Tracker Tip: Each circle can be broken up as needed. 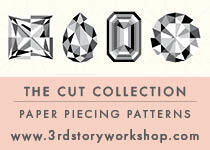 For example, want to sew for an hour each day? Split a circle into quarters, as shown above, and color in one quarter for every 15 minutes toward your goal! Exercising: running, jogging, walking, hiking, planking, lifting, cycling… anything goes! We hope this post has given you some great ideas, and hope you love the upgraded Habit Tracker as much as we do! 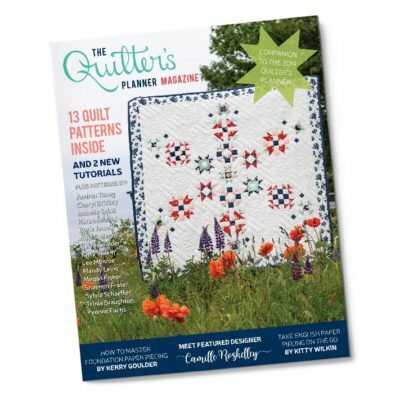 Oh, and if you haven’t purchased your Quilter’s Planner yet, be sure to order yours before they sell out for the year!